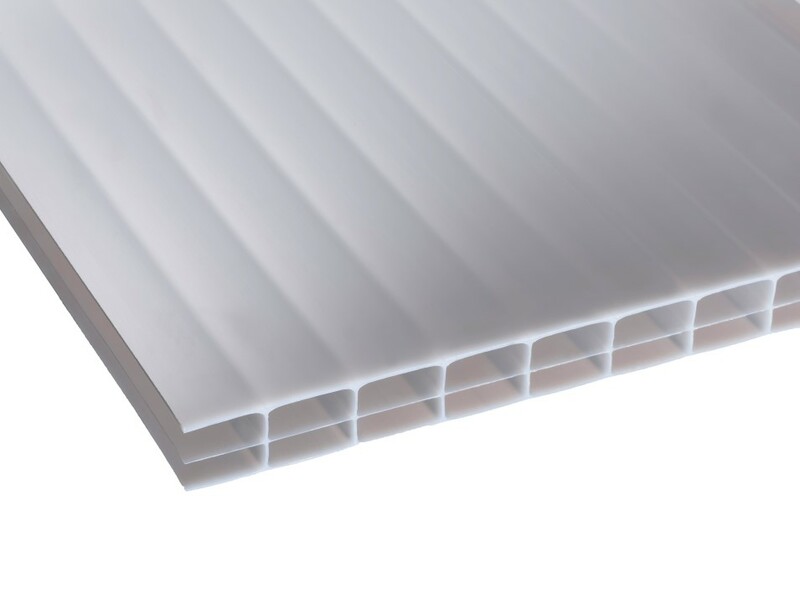 Home News What is recycled multiwall polycarbonate made out of and what can I use it for? Recycled multiwall polycarbonate, sometimes known as regrind polycarbonate, is a glazing sheet that includes recycled polycarbonate in its manufacture. This process results in an opal tint to the glazing. It is by no means an inferior product though. It has the same manufacturing tolerances and load strength as sheet made with virgin resin and even has a UV coating to one side, which should be installed facing outwardly. As the sheet is not made with 100% virgin resin, it is a more cost effective option, and is ideal for customers working to tight budgets or undertaking projects that perhaps do not require a premium product. Many of our customers purchase the sheet for applications such as carport and lean-to roof glazing. In contrast, one particular client who designs and builds innovative buildings using a carefully selected pallet of materials, has chosen recycled polycarbonate as one of their environmentally friendly, affordable and low impact glazing options. The sheets are available in both 10mm and 16mm thickness and we have samples of each available should you wish to handle the material before you buy. The maximum sheet size is 2100mm wide x 6000mm long. There is no requirement to buy full sheets, we will cut the sheet to your required measurements and you only pay for what you use with our m² pricing. As an added bonus we offer free UK mainland delivery on this product. Click here to use our handy pricing tool, or call us on 01925 826314 to discuss your requirements.